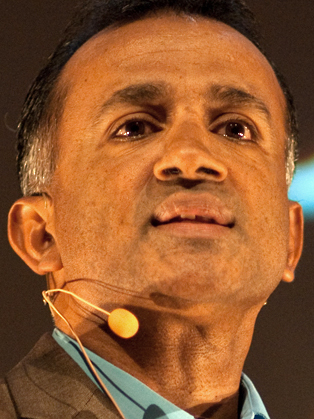 Chandran is the Founder and CEO of The Global Institute For Tomorrow (GIFT) and is dedicated to advancing an understanding of the impacts of globalisation and the role of business in society through thought leadership and positive action to effect change. Prior to starting GIFT Mr. Nair was Asia Pacific Chairman of UK based industry leader Environmental Resources Management (ERM). He established the company as Asia’s leader in environmental consulting. For more than two decades, Mr Nair has strongly advocated a more sustainable approach to development in Asia, and has helped governments and corporations instil these principles into their key decision-making process. Mr Nair serves on the Governance for Sustainability Global Agenda Council of the World Economic Forum. He is a regular speaker and panellist at the World Economic Forum, the APEC CEO Summit and conferences organised by the UN and OECd. He has also been invited to speak to senior management at some of the world’s leading companies including HSBC, Bosch, BASF, Nestle, and L’Oreal. His first book entitled, “Consumptionomics: Asia’s Role in Reshaping Capitalism and Saving the Planet” was published in December 2010. It was named one of the top 50 Breakthrough Capitalism books in 2012 and one of The Globalist’s top ten books of 2011. The book has been translated into German, Chinese and Bahasa Indonesia. The Chinese version was endorsed by Sinopec Chairman Fu Cheng Yu and Vice Chairman Xie Zhen Hua of the NDRC. Mr Nair has served as an Adjunct Professor at the Hong Kong University of Science and Technology and at the Lee Kuan Yew School of Public Policy in Singapore. Mr Nair is a fellow of The Club of Rome and the Royal Society of Arts.